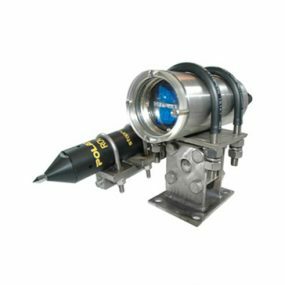 The Cygnus Mini ROV Mountable thickness gauge has been specifically designed to be mounted onto small observation ROVs with or without a manipulator facility. 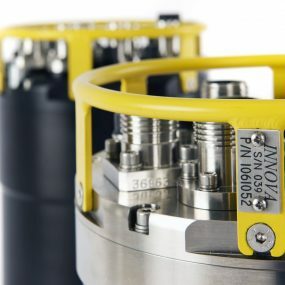 Built in conjunction with VideoRay, this mountable subsea thickness gage will allow the operator to carry out an ultrasonic thickness measurement in areas that have previously been unfeasible using larger ROVs or divers. The multiple echo thickness gage measures metal thickness and corrosion without removing protective coatings. Dedicated software displays the time, date and thickness readings on the surface which can all be stored or logged. Alternatively, an optional Topside Repeater (TSR) is available which has the facility to display the thickness measurements remotely and overlay them on to a video signal. This allows the measurements to be superimposed on the ROV camera’s monitor screen. 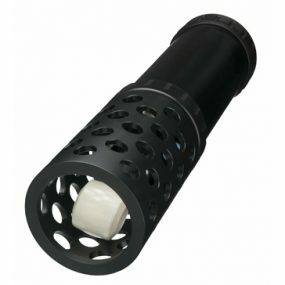 Designed specifically to mount onto small observation ROV’s. 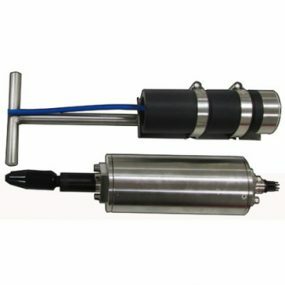 Supplied with *CygLink software to display and log thickness measurements from the ROV on a computer at the surface which can be saved to a file and printed out. 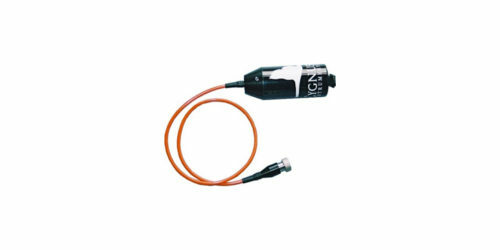 Easy calibration at the surface via CygLink software or Top Side Repeater (TSR) unit. Optional dedicated probe holder to allow measurements on curved or flat surfaces.